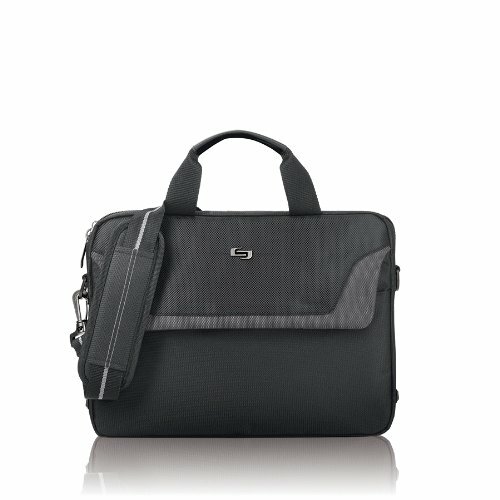 Solo Pro laptop slim brief protects laptops up to 14.1” and has a quick access pocket that makes it easy to access important documents. Comes with removable/adjustable shoulder strap depending on your carrying needs and comes with 5 year warranty. Velcro front pocket offers business card slots, pen loops, and accessory pocket. Pockets on front and back of case provide hideaway location for carry handles converting case to a sleeve. If you have any questions about this product by SOLO, contact us by completing and submitting the form below. If you are looking for a specif part number, please include it with your message.